How do I find a PRP-savvy dermatologist? It has been estimated that only one in 20 dermatologists will diagnose or treat pityriasis rubra pilaris during their professional careers. While that estimate may be totally bogus, we can say without fear of contradiction that very few dermatologists remember what little they learned about PRP as a resident in a teaching hospital. While the best case scenario is a referral from a fellow PRP patient or caregiver to their PRP-savvy dermatologist. the next best step in the U.S. is Find-A-Derm. The American Academy of Dermatology (AAD) has a great feature on their website. “Find-a-Derm” can help PRP patients and caregivers identify dermatologists who have the potential for PRP savviness. ✽ Select “psoriasis” in the SPECIALTY pull-down menu. Dermatologists who self-identity themselves as specializing in psoriasis keeps you prospect list more manageable. ✽ Distance from your ZIP Code. ✽ Name of the dermatologist with a link to more information, e.g., clinic name, full address, office hours, medical training of the dermatologist. When you call the dermatology clinic’s telephone number, it is unlikely that you will speak to the dermatologist. You will be routed to a person responsible for signing up new patients. That person may or may not be a healthcare professional, e.g., receptionist. Remember that you have an über rare skin disorder. 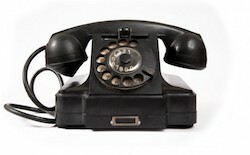 When it comes to PRP, the person at the other end of the phone is predictably clueless. They are, however, the gatekeeper to the dermatologists that treat patients with skin disorders. Here is one version of a PRP inquiry with one statement and four questions..
“I have a very rare skin disorder and want to find a dermatologist who feels capable of treating pityriasis rubra pilaris. #2 — “Has anyone at your clinic ever treated a patient with pityriasis rubra pilaris? #3 — Are there any other dermatologists at your clinic who might be familiar with pityriasis rubra pilaris? #4 — Will you call me or should I call you back? My phone number is 555-555-1212? Accept the fact that the staff person will NOT know the answers to any of your questions and will be FORCED to check with the dermatologist(s). In all likelihood the new patient person will be instructed to call you. IMHO — A failure to respond to your questions is both unprofessional and rude.